A 1763 sq.m. 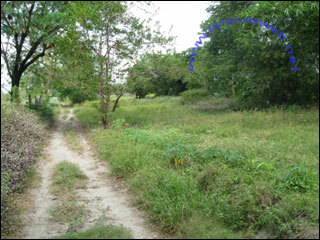 residential lot which is only 5 mins drive away from municpal town proper and 10-15 minutes drive from the town's beautiful beach resorts and restaurants. SAN ANTONIO, ZAMBALES San Antonio is known from its white-sand beaches and crystal blue sea rich with corals and shipwrecks, which are deemed among the best dive sites in the area. It has plenty of beautiful, clean and well-preserved beaches and resorts that cater local and foreign tourists looking for surfing, diving, swimming, sand and sea. It is less than an hour from Subic Metropolitan Authority and about 3 hours from Manila.